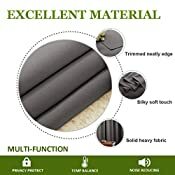 There are more than 5 sizes and 5 colors to suit your needs. 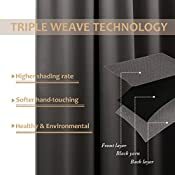 ✅ CURTAIN DETAILS: The room divider curtain's fabric is super soft, thickness and heavy innovative triple-weave polyester fabric. 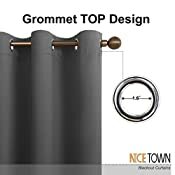 The 14 sliver grommets top (inner diameter is 1.6-inch) adds a modern touch and easy hanging. ONLY CURTAIN INCLUDE. ✅ SPACE SOLUTION: Curtains can be a clever and temporary solution for creating new spaces without building walls. You can still let in light if and when you choose, making them a perfect choice to allow flexibility in a small space. 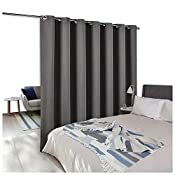 ✅ MULTIPLE FUNCTION: Just draw ROOM DIVIDER CURTAINS shut when either side needs privacy, body shape hidden behind them. 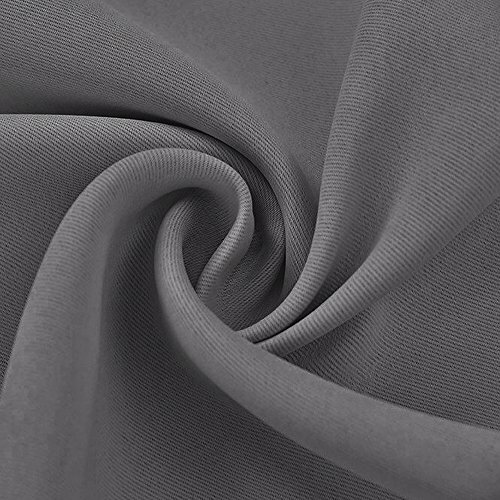 Besides, heavy curtains can be more effective than doors for soundproof, as the material absorbs rather than bounces the sound. 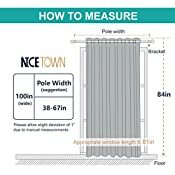 ✅ PORTABLE & SUITABLE: Room divider curtains are easily installed and easily packed up, moved, and reused! Perfect for City Loft, Office Space, Shared Bedroom, High Ceilings, Factories, Hospitals, Studio, Dorm, Storage Space, Cafes, hotels etc. ✅ CARE INSTRUCTION: Good quality finishing will withstand years of use. Wash the water temperature below 86F. Mild detergent no bleaching. Low temperature ironing. 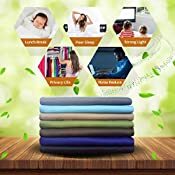 30-day easy return with Fulfilled By Amazon, 100% satisfaction guarantee.